Pax Christi came into existence at the end of World War II. Building on the initial inspiration of Madame Marie-Marthe Dortel-Claudot, a small group of French men and women, inspired by the Gospel, had the vision, the faith and the courage to foster a movement for reconciliation. During the 1960s the movement spread to most of Western Europe and not only grew in size and number of sections, but also put great emphasis on developing an efficient international structure. 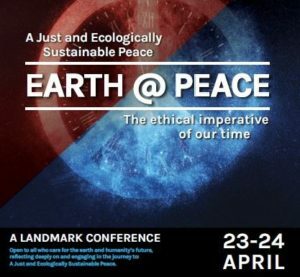 In 1963, Pax Christi International adopted Pope John XXIII’s pastoral letter: Peace on Earth as its charter. In the spirit of this document, the movement takes its inspiration from the relationship between the work of peacemaking and justice. Increasingly the issues of justice and human rights have been dealt with on both the national and international levels. Pax Christi Australia was established as an ecumenical peace movement in the 1970s. We have always encouraged dialogue with other groups, some of whom are non-Christian, and some of whom have no religious affiliation whatsoever. 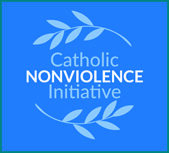 Based upon this non-sectarian approach, Pax Christi has played an influential part in peace initiatives in this country from its very inception. One of the key objectives of the Australian section has been to develop a strong Asia-Pacific perspective to Pax Christi’s work. The decision of the international movement to initiate a series of Asia-Pacific regional consultations was in part an outcome of these efforts. The first regional consultation took place in Hong Kong in October 1991, the second in Bacolod in the Philippines in 1996, and the third took place in Bangkok in October 2001. The most recent Asia-Pacific regional consultation entitled ‘Towards a Sustainable Peace through Active Nonviolence in Asia and the Pacific’ was held in the Philippines from 27 November to 1 December 2017. More information about this regional consultation can be accessed here.